What is a coupon? Simply put, a coupon is a piece of paper that entitles the bearer to receive a discount on a purchase. Some go so far as to call it a consumer’s contract with the manufacturer, so it’s important to understand the components that comprise a coupon and how they affect our usage of them as informed consumers. And of course our ultimate goal is to be informed consumers so that we can spend our money wisely while adhering to a manufacturer’s intended coupon use. :: Expiration Date — Almost all coupons currently available will have an expiration date clearly labeled on the coupon and officially expires at 11:59 p.m. on the date printed on the coupon. You may find coupons from a few decades ago that have no expiration date. If you should stumble across some of these coupons, stores should still accept them provided the product is still being manufactured. :: Value — This conveys how much the coupon is worth, as well as how many products need to be purchased to qualify for the discount. :: Image — The image pictured on the coupon may or may not include all of the products eligible for the coupon savings. Inexperienced cashiers (and husbands in my case, LOL) may incorrectly assume that a coupon may only be redeemed for the item shown, but it’s actually the coupon terms that dictate what products the coupon may be redeemed with. Limit one per purchase. — Each product in an overall transaction is considered one purchase. A coupon with this language indicates that you may use one coupon per qualifying item in a transaction. Example: You have three $0.50/1 Ortega product coupons with the per purchase wording. You may purchase three Ortega products and use three coupons. Limit one per transaction. — This indicates that only one like coupon may be used in a single transaction. Example: You have three $0.50/1 Ortega product coupons with the per transaction wording. You may purchase three Ortega products, but you would only be allowed to redeem one coupon. In this instance, I’d advise that you split your purchases up into multiple transactions if possible. Limit one per customer. — One per customer means only one redemption is allowed per person, period. Sure you may be able to circumvent this by returning on a different day, but abusing coupons in this manner may make manufacturers think twice about offering them in the future. Note that most stores will consider each member of your family a customer. Not valid on travel/trial size. — If a coupon does not have this language and does not have any language describing specific sizes the coupon is intended on, then you are perfectly within the terms to redeem these coupons on travel or trial sizes of the products described. This is a fantastic way to try new products! Do not double. — The do not double wording is the one exception to the terms dictating coupon usage. Coupons that specify “do not double” will still double automatically at most stores, provided the first number in the barcode is a 5. This is because the store is offering the discount on the doubled portion, so it’s at their discretion to allow the doubling. If the barcode starts with a 9, the coupon will not double automatically. 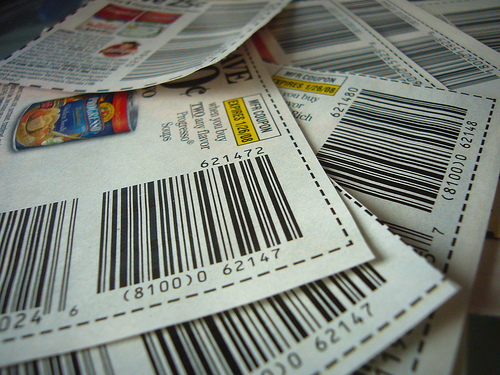 :: Barcode — You can actually garner a lot of information from a coupon barcode. 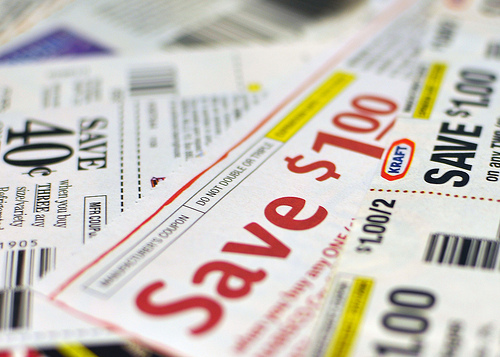 Some information can be useful in determining how a coupon should be used. However, decoding coupons for the purpose of using them on items other than those dictated in the terms is illegal and will not be promoted here on Deal Seeking Mom. Number System Character –The NSC number on a manufacturer’s coupon will always be a 5 or a 9 (or possibly 99). As I mentioned previously, coupons that start with a 5 will double automatically according to a store’s double coupon policy even if the coupon states “do not double.” Coupons that start with a 9 will never double automatically. If the coupon starts with any other number, it is a store coupon and eligibly for coupon stacking as applicable. Note that you may find coupons that start with a 5 or a 9 that says “redeemable at” or have a store logo on them. This is suggestive marketing. These are still manufacturer coupons and should be redeemable anywhere. Manufacturer Code –This number corresponds to the manufacturer’s code will correspond to the first five digits on the UPC code of a product. Product Code –The product code is comprised of the family code and the value code. The first three digits are the family code and indicate the family of products the coupon is valid on. The number of zeroes in this code specifies how specific the coupon is. All zeroes would indicate all products, one or two zeroes is more specific, and no zeroes would indicate a very specific product. The last two digits indicate the value of the coupon. You can Google to find the codes and their corresponding values, but 00 and 01 are the most important to keep in mind. A value of 00 instructs the register to “beep” for manual input, and a value of 01 indicates a free item and will prompt the cashier to enter a product value. Check Digit — The check digit is calculated based on the other numbers in the barcode and is a safeguard that verifies that a coupon has been scanned correctly. Fascinating stuff, isn’t it? I think so at least. Up next I’ll be sharing information about the coupon redemption process from the manufacturer’s point of view. Homework assignment: Pull a few manufacturer’s and store coupons out of your stash and review the above components on them. Note the differences between the two types of coupons. Before we dive into learning all about coupons, I think it’s important for you to take a good, hard look at what has prevented you from using coupons in the past. Perhaps you’ve been hiding behind one of the common coupon myths: you were embarrassed to use coupons; you can’t find coupons for the items you use; buying generic is cheaper; etc. Perhaps you were intimidated by coupons because they seemed confusing and overwhelming, or maybe a spouse wasn’t on board and seemed to be derailing your efforts by coming home with two bagfuls of groceries when you asked him or her to pick up a gallon of milk. 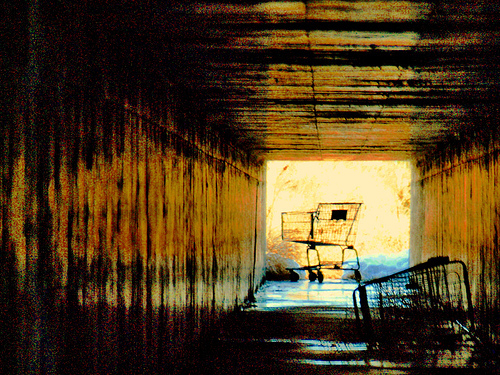 Or just maybe using coupons wasn’t a necessity in your overall budget previously, but current circumstances have led you to investigate the possibility of using them to cut your grocery budget. Whatever the reason, take a few minutes to identify why you’ve been reluctant to save with coupons and/or what has prevented you from using them to the fullest prior to now. Knowing your weaknesses is half the battle and will be important to know going forward so you can look for simple solutions! Homework assignment: Spend some time assessing what barriers you have to getting started couponing or sticking with it successfully. Share your thoughts in the comments so we can cheer each other’s successes on! You often hear the saying, “You have to learn how to walk before you can run,” and it’s absolutely true. 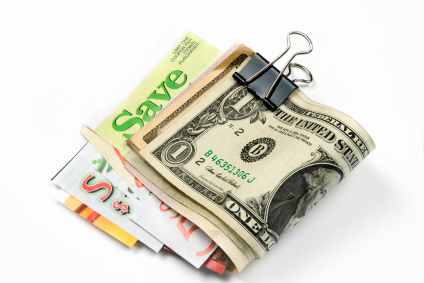 Learning basic fundamentals is key to mastering any skill, and so it goes with couponing. I post a lot of deals here on DealSeekingMom.com every week, but I’m sure that they can seem a little confusing and even intimidating to someone who’s unfamiliar with using coupons but looking to cut their grocery budget. With this in mind, I’m embarking on a series of posts this summer that will share the basics of paring back your grocery budget, starting with everything you ever wanted to know about coupons and moving on to how to shop strategically, using this knowledge to dramatically cut your weekly grocery bill. Perhaps you may be thinking that there are dozens of books out there on this topic, but I feel that blogs have a huge advantage over any book available in that we have the ability to carry on an ongoing conversation about a topic. Don’t understand a concept in a post? Just ask a question in the comments. I love that so many of you are willing to offer your time and knowledge to help others save money as well. Much of this information will be old news for some of you, but my hope is that each of you will learn something along the way. The discussion that I see taking place in posts here on DSM is often more valuable than the original post itself. I learn from your comments every day (like the Toilet Paper Principle! ), and I’m eager to hear your tips, suggestions, and perspectives as we get back to basics over the next few months! Do you have a specific topic that you’d like to make sure I touch upon? I’d love to hear about it — just leave a comment below or feel free to contact me!